Swank, elegant, gutsy, funny, glamorous, snobby, flashy, flaunt, chic, mod, remarkable. 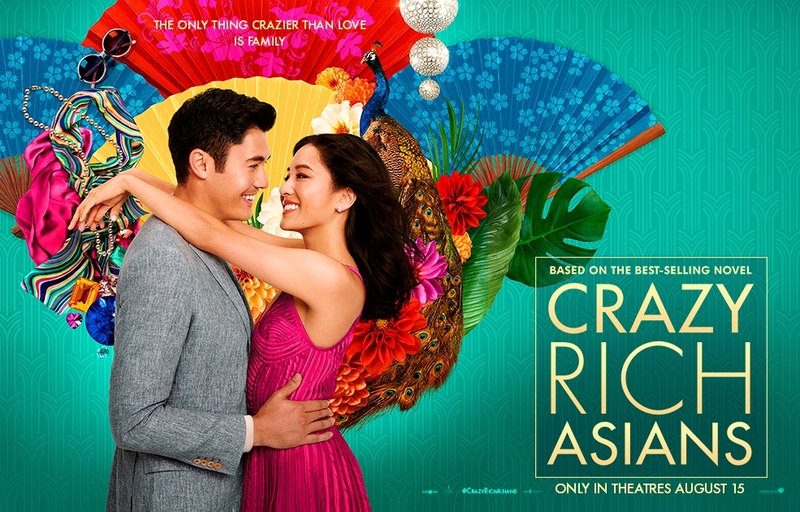 Crazy Rich Asians is all that and has the right modern mood and luxurious settings to qualify as a Cinderella fable, one that would be a dream come true for Rachel (Constance Wu) the economics professor, who has nary a clue her boyfriend of one year is the heir to one of the world’s biggest fortunes. His family is Chinese, but they occupy a real estate conglomerate and are known for building modern Singapore. Nick (Henry Golding) is seen as a just about perfect guy throughout the movie, he’s never a coward and he’s never not a gentleman. The flaw of the movie is that the hero is a man without a flaw, if that’s even a flaw at all. I’m just saying it’s rare for a man to have remained uncorrupted when every other family member in one way or another has a flaw. So the only grievance you can make about Nick is that he’s so cool that he could keep up fashionable conversation with a girlfriend for a year, be so interesting but not so introspective, and be so good at hiding the fact that he’s crazy rich. He’s one of those wanted to be loved for himself and not for money, guys. As the mother who has seen all and experienced all, Michelle Yeoh is the perfect foil as the woman who sees Rachel as not a good match for her favorite son. She is not the only one to cut Rachel down to size when they meet in Portugal, but she has the most cunning way to kill other’s self-esteem. All people should like or love this movie. There might be a few non-target audience members that might gripe how it’s that old Cinderella plot. I already said it is that plot. But there’s something extra crazy fun about this culture, this setting, this set of clothes, this attitude. It’s one heck of a good movie, and I’d watch it again too for the quick wit. The movie is not going to win the Best Film Editing award. There’s quite a few scenes that could have been lopped off at the beginning or end. On the bright side, director Jon Chu doesn’t go for choppy razzmatazz and he lets many of his scenes breathe, and we soak in Singapore as this wonderfully exotic, exquisite and dazzling country. Almost all the shots are beautifully mounted, without the handheld jerkiness, and that’s refreshing. Seriously, what a refreshing extravagant comedy. 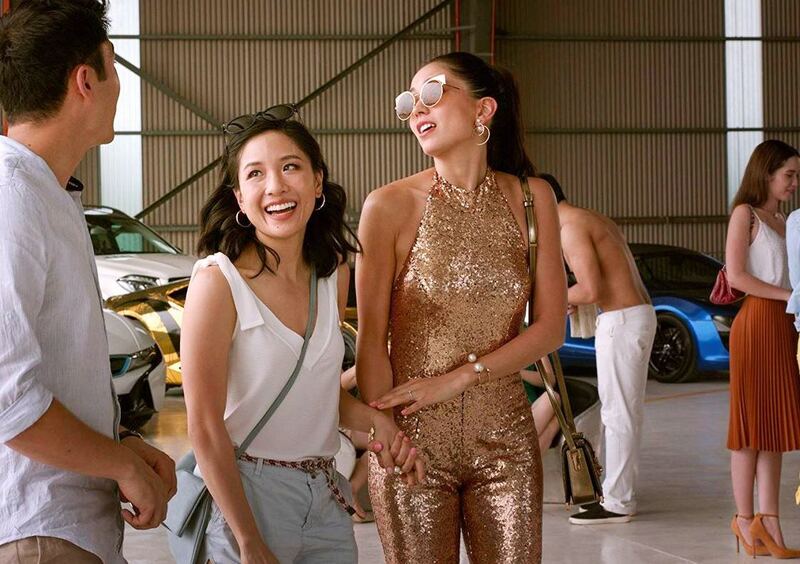 “Crazy Rich Asians” is supposedly the biggest Asian family-centered film to be released by a major Hollywood studio since 1993’s “The Joy Luck Club,” a serious, truthful, engrossing, but downhearted film. “Crazy Rich Asians” has a lot more effervescence going for it. Film Cousins: “The Joy Luck Club” (1993); “The Wedding Banquet” (1993, Taiwan); “Eat Drink Man Woman” (1994, Taiwan); “Better Luck Tomorrow” (2003).